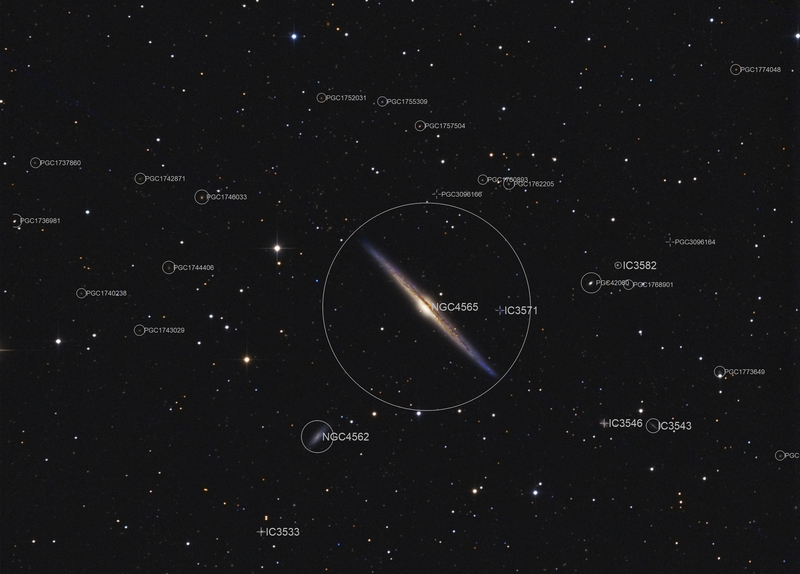 NGC 4565, also known as spindle or needle galaxy, is located in the northern starry sky in the constellation Haar der Berenike. We see them in an edge position, also known as "edge one". It has an extension of about 100,000 light years and is located at a distance of about 30 million light years. 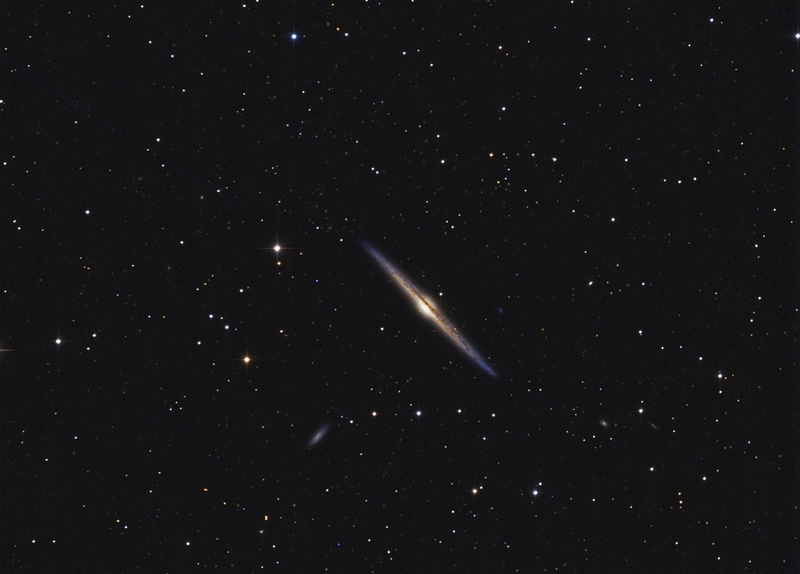 At the edges of the galaxy slight bends (warp) can be seen, which are caused by the rotation of the galaxy. The galaxy was discovered by Wilhelm Herschel on April 6, 1785.